This short post is related with the previous one (about Nexus) and it is a call for testing for the deb binary package (arm64) of 3DHOP, the software developed by the Visual Computing Lab (CNR-ISTI, Pisa - Italy) to create interactive and multi-resolution web-galleries of 3D objects. 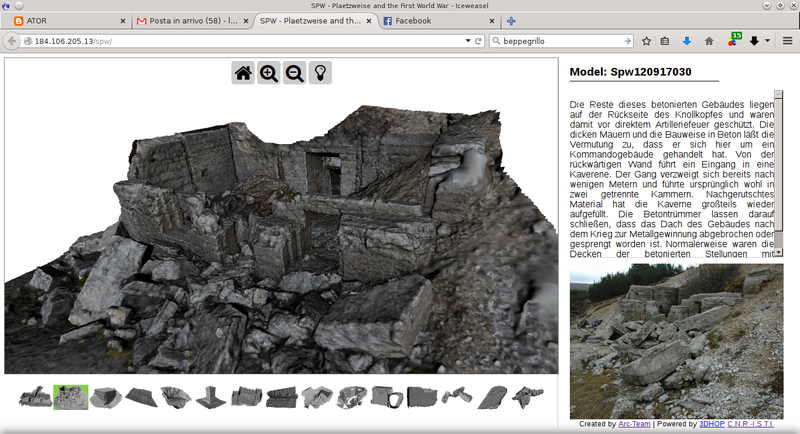 Here below you can see just an example of a gallery related with conflict archeology (WW 1), which we are developing in these days. Being a Debian Jessie derivative distro, ArcheOS Hypatia will install 3DHOP in the folder /var/www/html/3dhop-3.0. The best way to practice with this software is to modify the code of the different examples the package comes with (they are placed in /var/www/html/3dhop-3.0/examples). For people that wants to help ArcheOS development and test this package, I upload it here. Soon we will prepare also 32-bit packages. I hope this package will be useful! Merry Christmas and Happy new year! Marco Callieri (Visual Computing Lab - CNR-ISTI) notified me that Nexus and 3DHOP are under development right in these days, so there will be probably a new version in a short time. As soon as there will be changes, I will update the packages with the new functionalities. In order to help people in testing Nexus package for ArcheOS Hypatia (see the related post), I just recorded a fast videotutorial to show how this simple tool works. Please note that the videotutorial refers to ArcheOS Hypatia's package, where Nexus binaries are stored in /usr/bin (so that they can be start from any path in the terminal). If you compiled your Nexus version somewhere in your home folder, than probably you will have to activate the binary from that directory. Here below is the short video; I hope it will be useful. Soon I will upload also the new 3DHOP package for ArcheOS Hypatia, with some instruction about it. Since we are working on a project related with a 3D gallery of WW1 remains, we are using the 3DHOP application (which has been also suggested by Nicola Schiavotiello in the ArcheOS-dev Mailing List), developed by the Visual Computing Lab of the CNR-ISTI (Pisa - Italy). In order to exploit the full potential of this software it is useful to use the tool Nexus (see the related issue in ArcheOS github) , to create batched multiresolution mesh structures (to enable Level of Details - LoD - visualization). For this reason, today I took the occasion to build a simple binary package (for amd64), to be tested for ArcheOS. If someone wants to help in testing the package, it can be downloaded here. Please report in the comment of this post your feedbacks. Soon we will update archeos-meta in order to implement these two software. Any help in packaging is much appreciated! Three more animals were saved thanks to a partnership between classical Veterinary Medicine and new technologies. 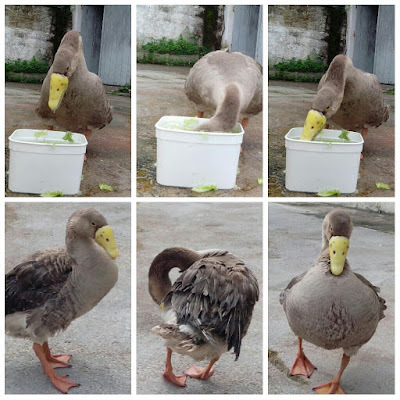 Victoria the goose, Greenie the parrot and Beakolin the toucan were given again the possibility to feed themselves without the aid of keepers. 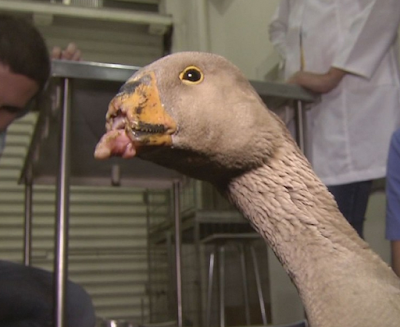 Victoria the goose was the first of her specie to receive a 3D printed prosthetic beak. She was found by Mr. Christian Negrão of the NGO Amigos do Mar (Friends of the Sea), at Comprida Island, about 200 km from São Paulo. Her initial conditions were quite shocking. A considerable portion of the rhinoteca (upper beak) and gnathoteca (lower beak) were absent. 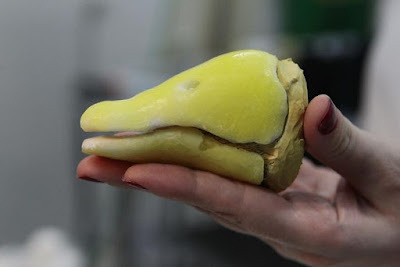 Using his dental knowledge, Dr. Paulo Miamoto initialy cast a mold of the animal. 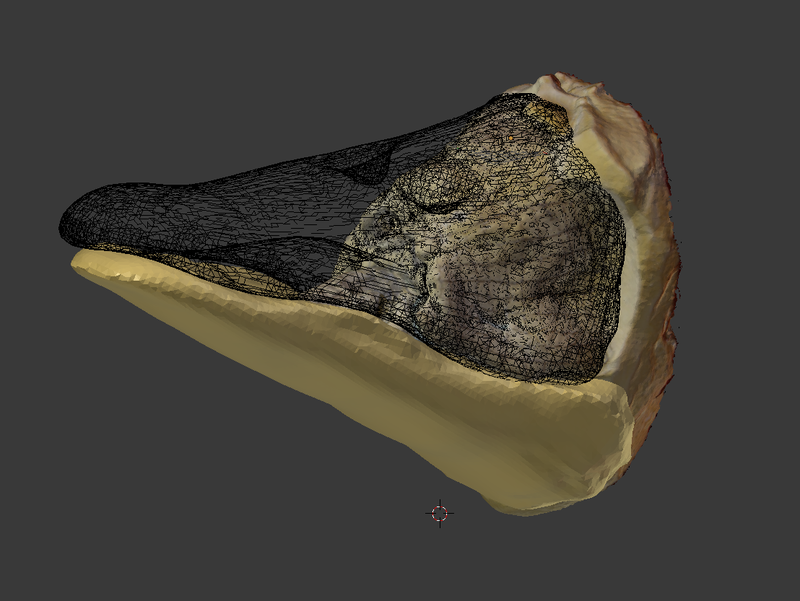 Next, Dr. Miamoto drew several lines on the cast, in order to make it easier for the photogrammetry algorithm and took pictures of it, using the digital camera as a 3D scanner. These pictures were sent to PPT-GUI, which converted them into a pointcloud. 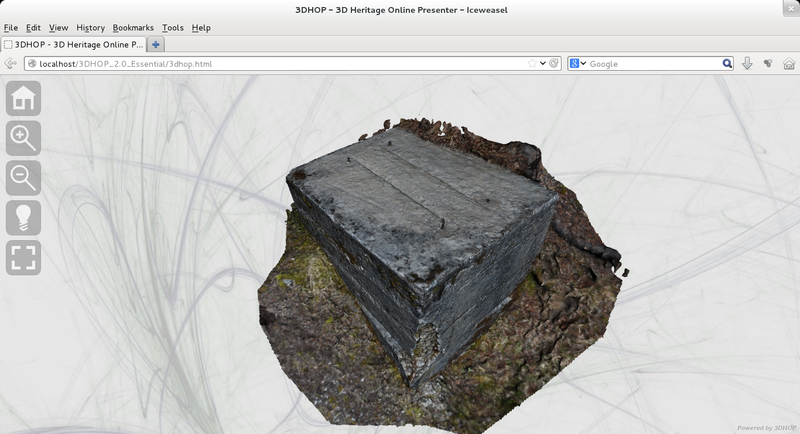 The resulting files were imported into MeshLab and the pointcloud was converted into a 3D mesh. 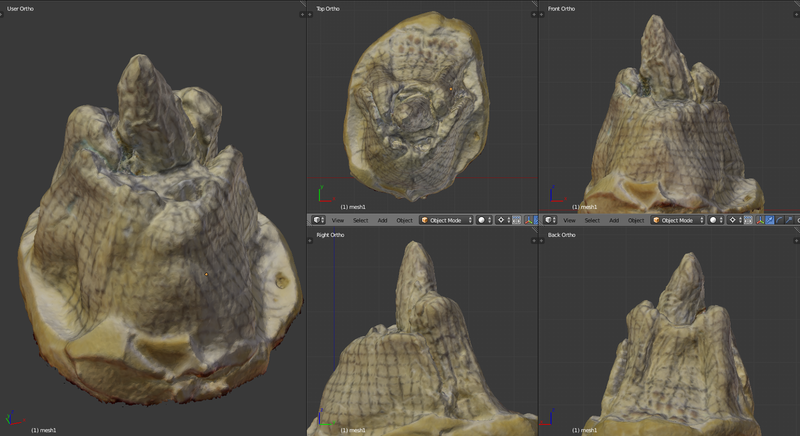 The file was exported to Blender as Collada (.dae). 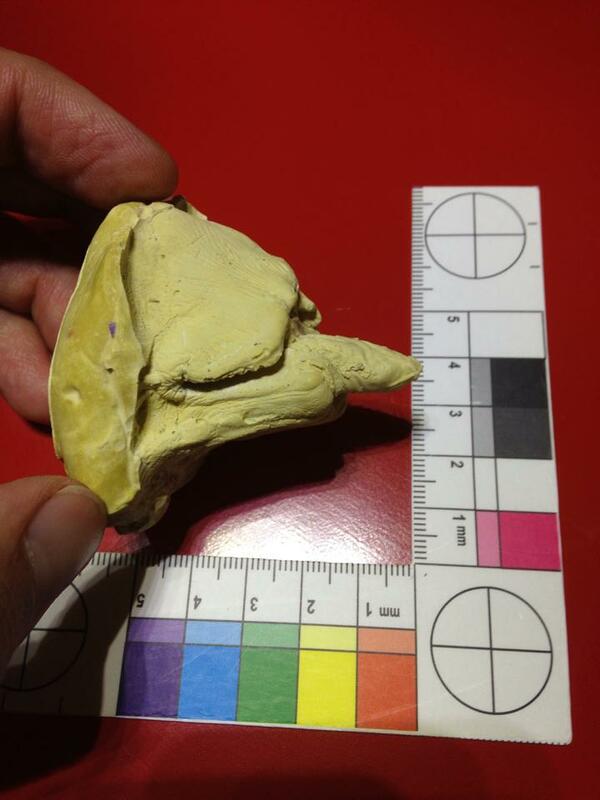 The airways were mantained on the prosthesis that was modeled from the original beak, on appropriate scale. This was possible thanks to an addon developed by Dalai Felinto at request of Dr. Everton da Rosa, a Dentist that grant permission to use this script (under development). This addon has brought Cork inside Blender. Cork is a standalone dor complex 3D boolean operations. The resulting model was exported as a STL and open in Slic3r, which generated G-Codes for 3D printing. This process was greatly helped by Claudio Sampaio (Patola). 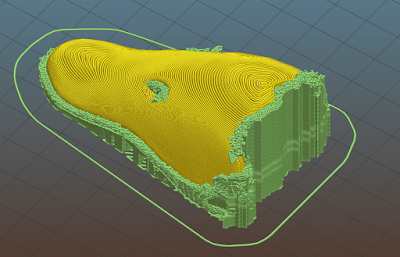 The Gcode file is nothing more than a set of instructions organized as a text, which is read by the 3D printer and makes possible to materialize objects. The 3D printed model fit perfectly the model created by Dr. Miamoto, which was also responsible by the print and finishing of the prosthesis (which received a yellow layer of dental resin, that works as both aesthetic improvement but mainly as a structural reinforcement). With the prototype the surgical procedure was initiated. Aenesthesists Dr. Marco Antônio Ramiro de Campos and Dr. José Pedro Estrella started the operation. Next, Veterinaries Dr. Roberto Fecchio and Dr. Sergio Camargo, from University of São Paulo (USP), along with Dentist Dr. Miamoto adapted and cimented the prosthesis. The procedure was a great success and up to date, Victoria the goose is perfectly adapted to her beak prosthesis. 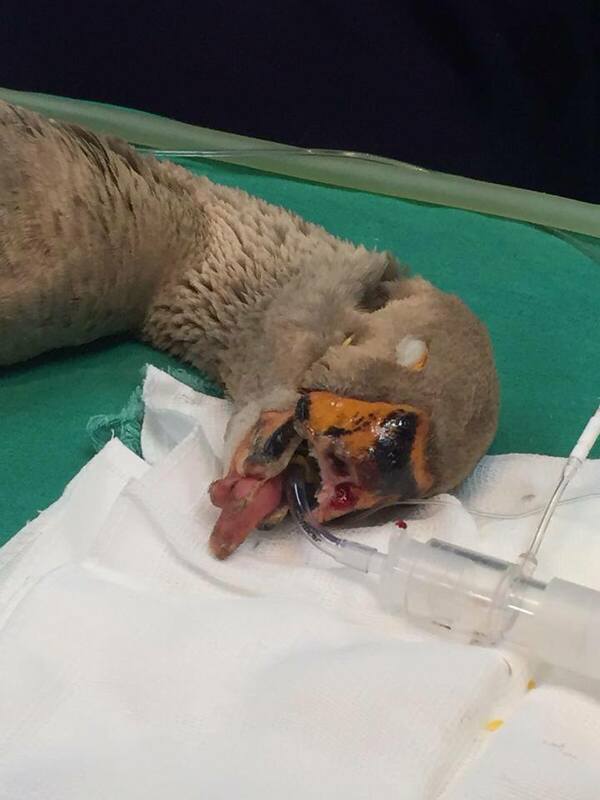 Another case was of Beakolin toucan, that grew with a malformation on his beak. This made it impossible for him to feed without the aid of a keeper. The procedure was the same as described for Victoria's beak. 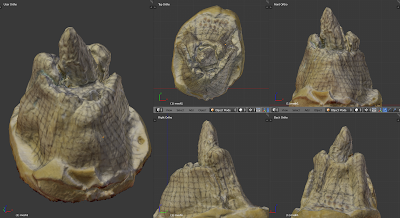 A model was cast and digitized in 3D. A beak was modeled and wrapped around the malformation. 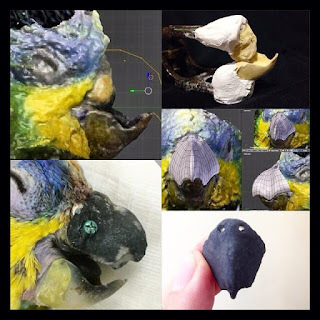 This resulting model was 3D printed, received surface treatment and was adapted onto the animal. Shortly after the surgery, Beakolin started feeding by himself. By the way... Beakolin was a national highlight in Brazil, as he was shown during G1's morning bulletin at Globo TV`s Bem Estar show. Last but not least, there's Greenie's case. The great fear of the team was that the prosthetic beak, printed in PLA, would not resist to the mechanical effort that this species demands on its alimentary habits. 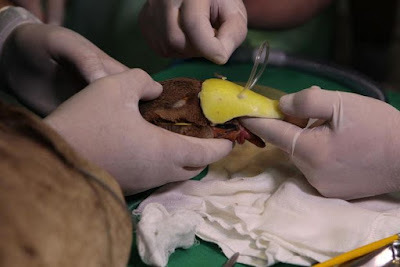 The vets had to adapt the tip of the beak to relieve a bit of the load at the extremity. Thus, another animal was now independent to feed and enjoy life. As it is a very new technique, we still do not know whether or not these prostetics will resist to constant load, but the more important is that we are always ready and alert to help these little warriors with what they need and with what is within our reach. I can never thank enough this spectacular team, which permitted that I could be part of all this, and converted studies that were once limited to a virtual environment to a very material and life-saving reality. Thank you very much!